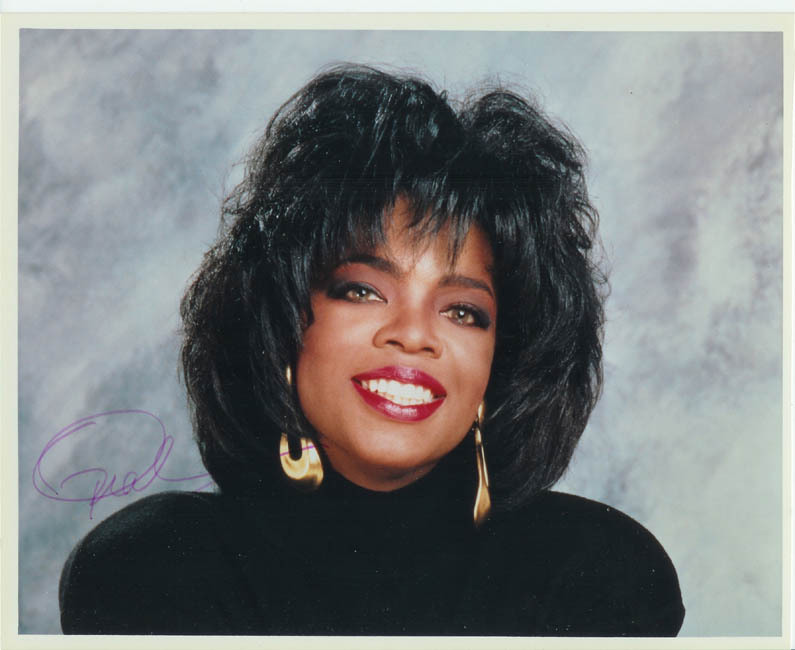 Who doesn't know about Oprah? This is a letter I'm particularly proud of. 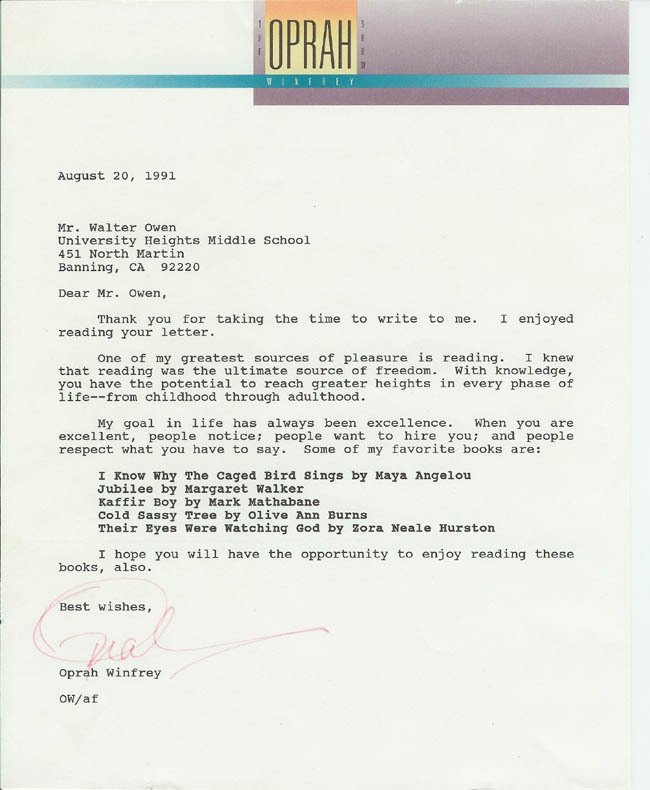 Oprah gets about 10,000 letters per week. She has a full-time staff of eight who do nothing but read her mail. They only pass on 5-10 letters each week for her to respond to personally. This was one of them. I have included all the books she mentions in the library in the back of my classroom. They get read often.